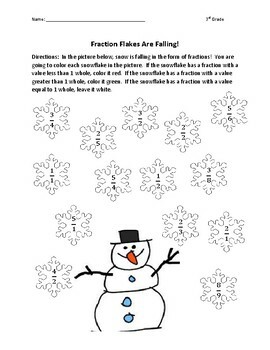 Help your 3rd graders practice fraction values in a fun way this winter. Free download. If you like this freebie, please rate it and follow my store. I will be adding a lot of math related items in the very near future. Thank you.